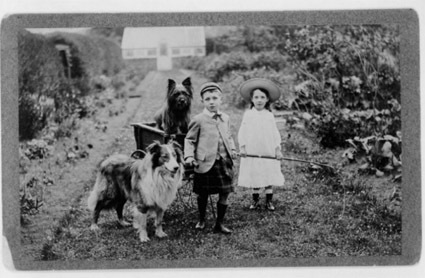 Beginning in the 1870s, animal protectionists saw the safeguarding of children and animals as equally important, as both were vulnerable creatures in need of protection. American animal protectionists from earlier centuries might seem unrecognizable today. Most ate meat. They believed in euthanasia as a humane end to creaturely suffering. They justified humanity’s kinship with animals through biblical ideas of gentle stewardship. They accepted animal la-bor as a compulsory burden of human need. Their sites of activism included urban streets, Sunday schools, church pulpits, classrooms, temperance meetings, and the transnational missionary field. Committed to animal welfare, they strove to prevent pain and suffering. 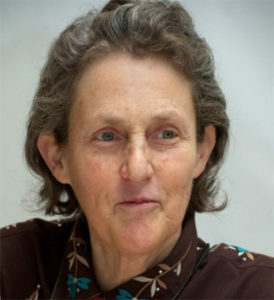 Contemporary animal rights activists, by contrast, believe that animals possess the right to exist free from human use and consumption. Consequently, current activists and their scholarly associates often miss the historical significance of earlier eras of activism. A growing historiography, however, demonstrates the centrality of animal protection to major American transformations such as Protestant revivalism and reform, the growth of science and tech-nology, the rise of modern liberalism, child protectionism, and the development of American ideologies of benevolence. Why is Animal Welfare Important? Most NOFA members automatically support strong animal welfare standards. Many of us keep poultry or livestock and track their health and condition as carefully as we might that of our children or grandchildren. But big changes are happening in the world of animal welfare and we need to be up to date on them. First off, important, tighter changes in organic standards have been proposed. As organic producers, we need to understand them and help them be-come the best standards for us all. 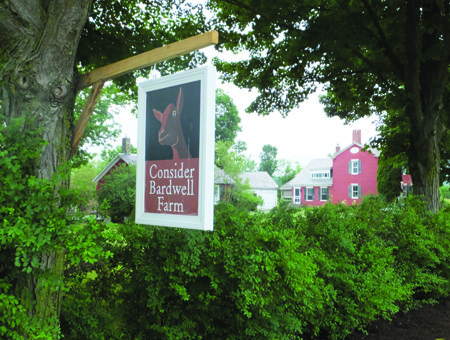 Third, a Massachusetts ballot initiative in November calls for a vote on livestock standards for cows, pigs and chickens that could well ban Massachu-setts sales of some animal products produced in other states and shipped here for sale in our markets. In this issue we look at the details of some of these proposals, examine how they are changing agriculture, and what the future is likely to require of us. We look at two farms that are successfully meeting high animal care standards while maintaining farm viability. We look at the animal care suggestions of world-class animal handlers, read a short history of the animal care movement in America, and consider the thoughts of various people on the topic of what a world without livestock might look like. We hope it gets you thinking and acting on your own values! 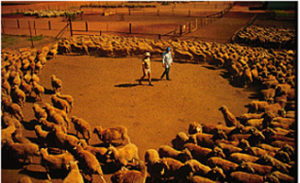 This picture illustrates the flight zone of a large flock of sheep. Herds of cattle behave much the same way. Notice that the sheep are circling around the handlers while maintaining a safe distance and keeping the people in sight. Note that the sheep tend to move in the opposite direction of handler move-ment. Walking in the opposite direction of the direction of desired movement can be used to move groups of animals. Walking in the opposite direction tends to speed up movement and walking in the same direction tends to slow down movement. These principles work with all herding animals. When ani-mals are completely tame they will have no flight zone. Leading is usually the most effective way to move very tame animals. Handlers on farms and ranches can reduce the size of the flight zone by spending time walking through the herd or flock. The point of balance is usually at the animal’s shoulder and it is determined by the animal’s wide angle vision. All species of livestock will move forward if the handler stands behind the point of balance. They will back up if the handler stands in front of the point of balance. Many handlers make the mistake of standing in front of the point of balance while attempting to make an animal move forward in a chute (race). 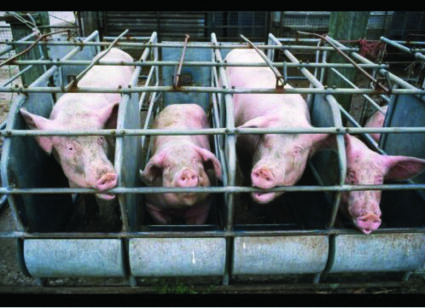 Groups of cattle or pigs in a chute (race) will often move forward without prodding when the handler walks past the point of balance in the opposite direction of each animal in the chute (race). It is not necessary to prod every animal. If the animals are moving through the chute (race) by themselves, leave them alone. 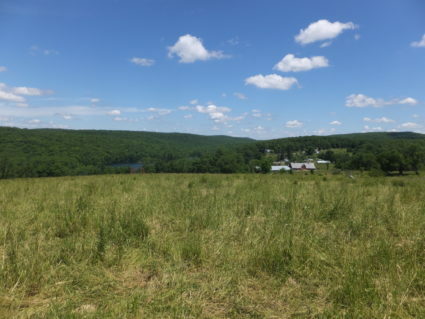 From a farmer’s point of view, soils in southeastern New York abutting Connecticut are sadly lacking in the limestones, shales, and sandstone which make central and western New York such excellent farm country. Metamorphized rather than sedimentary rock often translates into stony fields with the occasional massive boulder. This is the case in much of Putnam County, east of the Hudson River and just over 50 miles from Manhattan. Agriculture never took off there as well as it did further north and west. Instead, commerce along the Hudson and manufacturing were important. Geological deposits throughout the river valley contain veins of magnetite iron ore. Access to these deposits, as well as trees for charcoal and steam, and water power to drive machinery, meant that from colonial times into the 19th century iron works were established along both sides of the Hudson River. On April 7, 2016, USDA posted a proposed rule — the Organic Livestock and Poultry Practices (OLPP) Rule — to clarify existing federal organic regulations re-lated to animal welfare standards. 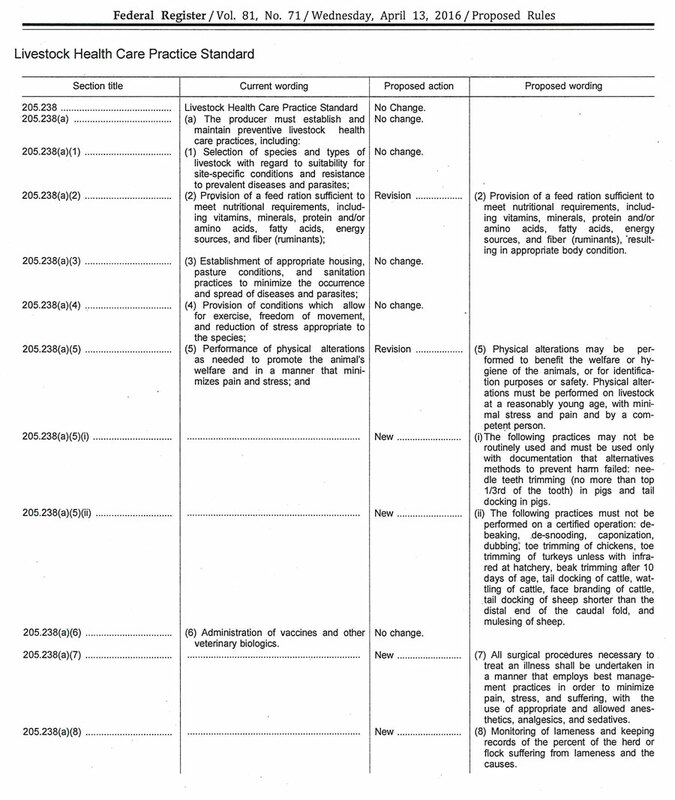 The rule was published in the Federal Register on April 13, and the comment period closed on July 13. The department is now evaluating those comments and will likely publish a final rule in the next few months. 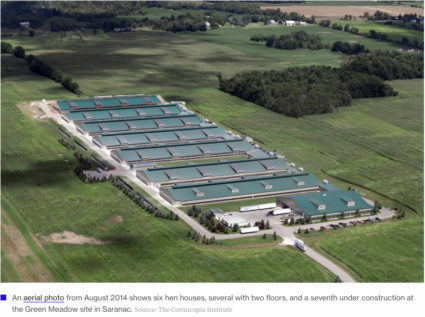 This rulemaking was based on a 2011 National Organic Standards Board (NOSB) recommendation, which sets standards for indoor and outdoor space require-ments for organic poultry and livestock, and adds definitions to which practices are allowed and prohibited under organic regulations. The village of West Pawlet is a third of the way up the state of Vermont, on the New York border. Pawlet itself was chartered to 62 residents in 1761, held its first town meeting in 1775, by 1800 contained almost 2000 souls, and peaked ten years later, in 1810, with a population of 2233. Now it is around 1438, almost half of whom are in West Pawlet. The town lies in the foothills of the Taconic Range, in the Champlain Valley, and has always been very rural. Nearby lakes are Lake St. Catherine, Little Lake, Lake Bomoseen, and Cosayuna Lake. Here is where Angela Miller, a successful Manhattan literary agent, and her architect husband Russell Glover, who had been visiting friends in neighboring Dorset in 2000, checked out some available properties and bought themselves a 305 acre farm! There are many individuals and groups with strong feelings on the topic of raising animals for food. In preparing for this issue I contacted probably a dozen animal welfare groups and asked them if they would write, or could recommend something already written, that I could publish about how the world would be different if veganism were adopted as the prevailing practice. No one was interested in writing such a piece, and only one previously written piece (below) was suggested. I was surprised at this. I expected that responsible organizations would have some sort of program for how the changes they are recommending might take place, and what the world would look like afterward.